A sixth consecutive month of declining home sales in January contributed to the largest year-over-year inventory increase in at least ten years, according to the RE/MAX National Housing Report. While year-over-year home sales dropped eleven percent – extending a streak that began in August – inventory grew year-over-year by an average of 6.4 percent across the report’s fifty-four U.S. metro areas. January marked the fourth consecutive month of year-over-year inventory growth – further reversing a decade-long trend of shrinking inventory. December 2018’s year-over-year inventory growth of 4.7 percent was the previous record in the report’s ten-year history. The median sales price of $234,000 was a report record for January, increasing 4.6 percent over January 2018. But the rate of sales price increase was considerably less than the 6.7 percent posted from January 2017 to January 2018. December 2018 was the only month since January 2012 to show a year-over-year decline in median sales price. Fifty-nine days on market was a record low for January sold listings – averaging one day less than the 60 posted in January 2018. January’s 3.9-month supply of inventory was higher than the 3.4-month supply of January 2018. Of the 54 metro areas surveyed in January 2019, the overall average number of home sales was down 26.1 percent compared to December 2018, and down 11.0 percent compared to January 2018. In January 2019, the median of all 54 metro Median Sales Prices was $234,000, down 2.5 percent from December 2018, and up 4.6 percent from January 2018. The average Days on Market for homes sold in January 2019 was fifty-nine, up four days from the average in December 2018, and down one day from the January 2018 average. Days on Market is the number of days between when a home is first listed in an MLS and a sales contract is signed. The number of homes for sale in January 2019 was down 2.6 percent from December 2018 and up 6.4 percent from January 2018. Based on the rate of home sales in January, the Months Supply of Inventory decreased to 3.9 from 4.1 in December 2018 and increased compared to 3.4 in January 2018. A six-months supply indicates a market balanced equally between buyers and sellers. In January 2019, nine of the fifty-four metro areas surveyed reported a supply at or over six months, typically indicating a buyer’s market. 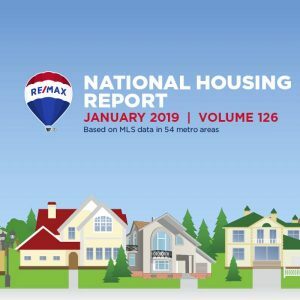 For more info, please click here to download your copy of the RE/MAX National Housing Report for January 2019. If you are looking to sell your Arizona home or are ready to buy a Phoenix home, please contact The Voss Team today. Glendale is the latest Arizona city to ban cellphones while driving. Last week, the city of Glendale Council voted unanimously to enact the new law after the tragic loss of the Salt River tribal police officer, who was struck and killed by a distracted driver on the 101 Loop near Scottsdale. 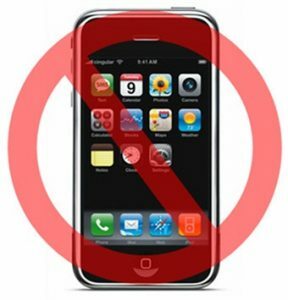 The Glendale ordinance prohibits talking on cellphones, sending text messages or otherwise using a handheld device while operating a motor vehicle, unless the device is in a hands-free mode. The fine for the first offense is a whopping $250.00, however there will be a grace period for Valley residents for the next six months. The ordinance is also considered a primary offense, so a police officer can pull over a driver if they are using their handheld device. If you’re in the market to buy a home in Phoenix this winter, please contact the Voss Team today! We have the reputation, experience and local knowledge you need to find the right property and you’ll receive the personal attention you deserve while navigating the real estate process! Though spring-time is one of the busiest home buying seasons, there’s actually quite a few benefits to selling in the winter time. Here’s 3 reasons not to wait until spring to sell your home. 1.) 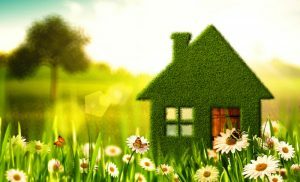 Less Competition: The good thing about buying a home during the wintertime is that there are typically fewer home buyers to compete against compared to the peak spring housing market. With less competition, home prices are generally lower in the winter time. 2.) More Flexible Sellers: Because the market tends to slow down in the winter, many sellers also hold off on listing their homes unless they absolutely have to and are typically more open to striking a deal. So typically homes on the market tend to be sellers that have urgency to sell. Either their being relocated or possible going through a divorce, they have a genuine motivation to sell, and may be more negotiable when it comes to accepting your offer. 3.) Quicker Closings: Since the mortgage and title companies tend to be less busy in the winter, you’ll be able to take advantage of a quicker and likely smoother closing, which will put keys in your hand sooner than expected. You may even get a better deal on closing costs. Because there’s less buyers in the winter, loan offices may be more likely to fight for your business because they too are slow. Which means even more savings for you. The spring selling market will be here before you know it. Is your home ready to hit the market? 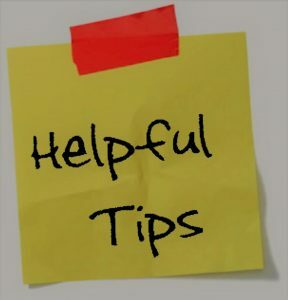 Here are a few tips to help you create a smooth selling experience. The spring weather is right around the corner, making it an excellent time to list and sell your home in the Valley of the Sun. Please give me a call today to help you successfully navigate the process, while netting you the best price and in the shortest amount of time.